View the excerpt below or get your free copy of our new report, "Small Business B2B Call to Action Study." Many small businesses have considerable room to improve with B2B web site lead generation. 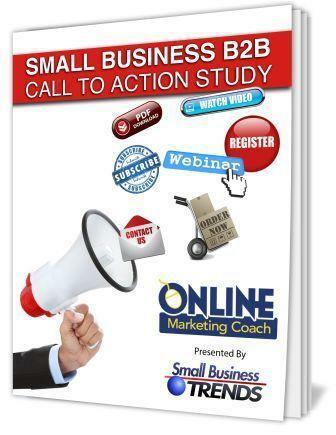 Online Marketing Coach looked at 200 U.S. small business web sites for the “Small Business B2B Call to Action Study.” They included manufacturers, law firms, accountants, architects, construction companies and a wide range of other services and products (consultants, IT consulting, web designers and more). For our study (presented by Small Business Trends), we randomly selected the web sites from a ReferenceUSA database of businesses with fewer than 100 employees. Clearly, the web sites feature basic design elements like a primary navigation, logo, text and images that refer to services and products. Most web sites lack prominent calls to action, such as text or graphics referencing incentives like guides, demos, resources, e-mail newsletters, etc. Our report includes examples of the worst and the best we found. 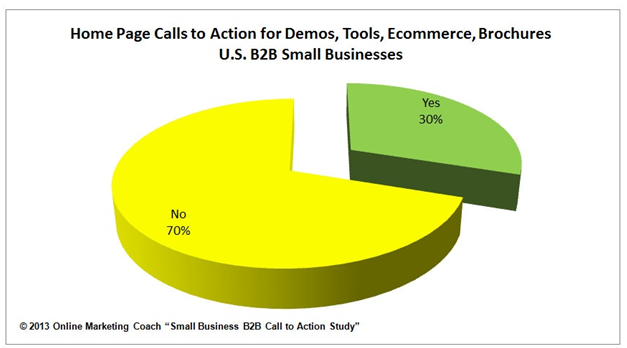 We have also created the “Small Business B2B Call to Action Checklist,” a tool you can use and adapt to size up and track your own efforts (e-mailed with this study). 70% don't display clear calls to action for anything on their home pages, such as specials, e-mail newsletters, how-to guides, demos, and interactive tools. We didn’t look for a mention on the first screen (scrolling was acceptable). Whether referenced in text or in an image, we looked to see how many of the businesses offer the educational reports (PDF format, informational videos, etc.). And yet, only 4% of B2B small businesses promote this type of educational content. Some web sites offer a variety of calls to action besides guides and white papers. They include corporate brochures, e-commerce, demos and opportunities to sign up for newsletters. But 70% don’t use notable options like these to connect with visitors. It just doesn't look professional to keep a web site live with a missing logo. Many web sites make it tough to connect with them. Phone numbers are buried along with small links to e-mail addresses. 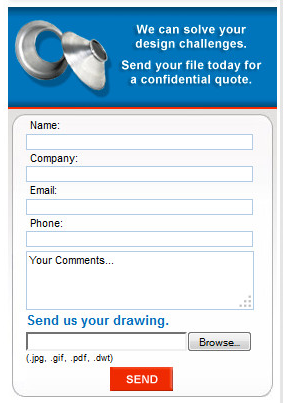 Even the “Contact Us” gets lost among many other navigation choices. But sometimes small businesses create well designed forms that request basic information without going overboard with the data collection. 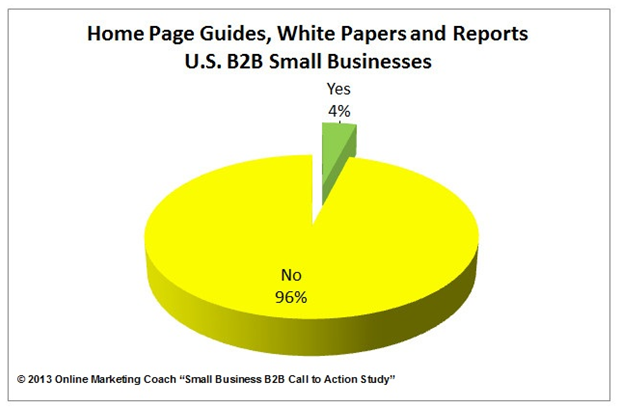 Other studies have looked at some of this data for all small businesses, not just B2B. Or, in some cases, the studies combined small and medium-sized businesses.